Marianne Woodard, sophomore, enjoys sitting down to read a book during her free time. 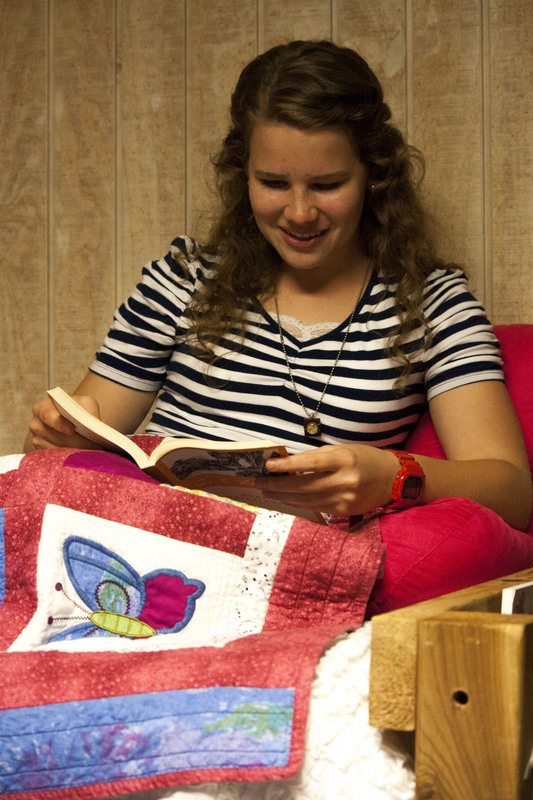 When a student is stuck on NGU campus with some free time, there is nothing like settling down to read a book in your dorm room after a long day's work and classes. It provides all the escape someone could need with far off realms, fighting dragons, heroic acts and romance. David Balles, sophomore, and Samuel Helms, sophomore, battle it out in a game of ping pong. The game room at NGU provides a way for students to be active indoors to relieve from all the stress that school can bring, and can also be a fun activity to partake in with friends when you have spare time. Kacey Cedestrom, sophomore, and Brandon Duffessy, junior, enjoy hanging out at the stud. What better way to spend free time than being able to go to the Stud to eat food, chill with friends, and watch movies on a laptop when time allows. 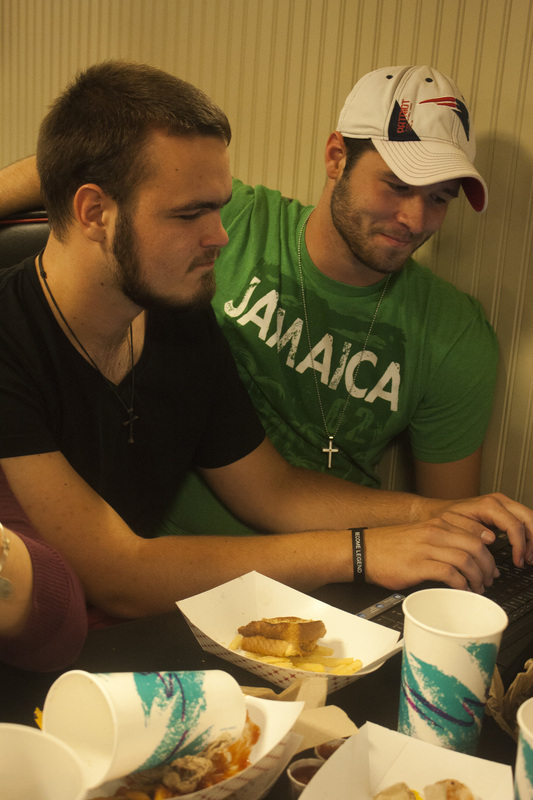 Wes Wessinger, junior, Bethany Stickley, sphomore, and Brandon Lee, junior, hang out in the stud playing a game of cards. The Stud also provides a great place to hang with friends and play a game. It's a great way to get to know new people, as well as create many laughs. Tanner Furr, sophomore, intensely looks downfield to toss the Frisbee to a fellow teammate on one of NGU's fields. At NGU, there is always the chance to toss around a Frisbee with the Ninja Geese on their practice day, or with any other fellow students.